Are you an entrepreneur or a homeowner? Are you responsible for a gated community or searching for a solution for your business? 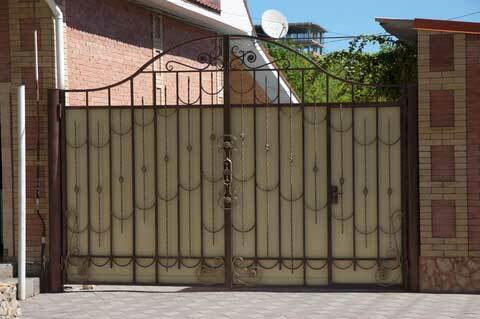 In either case, purchasing the right gate for a specific property is never easy. Don't forget that the gate is not a product you pick up off a shelf and it will remain with you for years to come. You must also seriously consider the purpose for which you are getting ready to invest in a roll up or overhead gate, or one of some other style. Matching the needs, landscape and the entire layout of your property is rather difficult. So, it's a good thing there are choices. Of course, it's a different thing selecting storefront gates for your business than choosing one for your house. In any case, your decisions today will determine your convenience tomorrow. For most people, security comes first, convenience second and aesthetics last. But of course you may choose to change that order up a little bit, and that's fair. But it's always a good idea to consult with professionals before buying to ensure you're not neglecting anything. Automatic roll up gates are perfect for industrial use since they barely occupy any space, are extremely strong and very convenient to use. You will probably want something similar for your store just in a smaller size. For windows or public places, security grills are the best way to go. 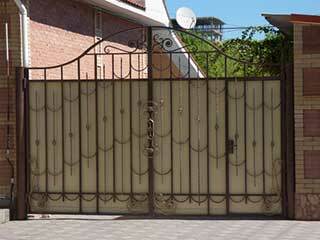 When it comes to residences, swing and rolling gates are the most convenient and popular choices. Hinge hung options usually come in single or bi-parting designs, depending on their size. The choice will depend on your space limitations. Wood will make a great impression on visitors and will also prevent visibility, meaning it will contribute to your privacy. It's actually pretty popular for residences, probably because of its classic appeal. However, steel options with rails for visibility or full panels or slats in the case of storefront gates are also a great choice, especially if they are made of hot dipped galvanized steel. This material is stronger than wood, so naturally, it will provide more security. Both types require some maintenance in order to be preserved. Aluminum is a more budget-friendly option that's also lightweight. However, it can be damaged far more easily. Who needs manual gates? Unless we are talking about small size security grills, why shouldn't you invest in an automatic roll up gate for your storefront and go through the trouble of opening/closing them manually every day? The same goes for residential properties as well. Your sliding or swinging gate system can become automated and you won't have to get out of your car when you're leaving for work or returning home after a long day. You have the choice of remotes or keypads with changeable codes, as well as Wi-Fi models that can be controlled with your smartphone. Use your telephone line to check out who's at the gate and decide whether or not to buzz them in. Alternatively, you can have a wireless intercom system installed that won't require running wires all over your home or store. Many modern models can also offer you video and audio surveillance, allowing you to connect to them directly with your phone when you're away to see, hear and talk to whoever's waiting on the other side of your gate.